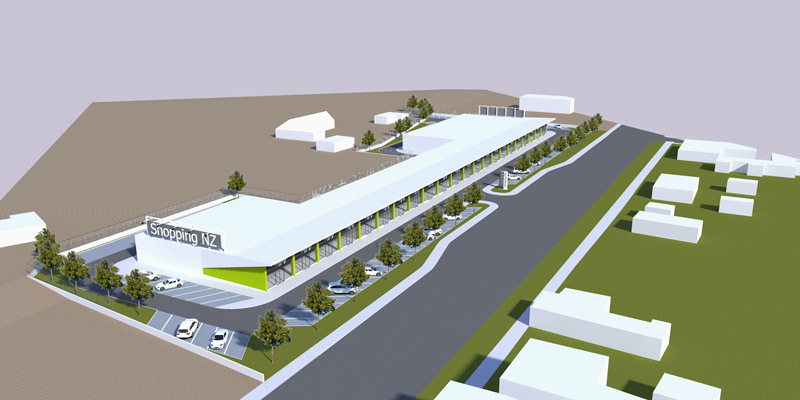 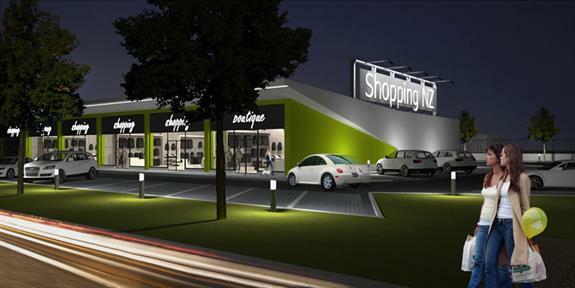 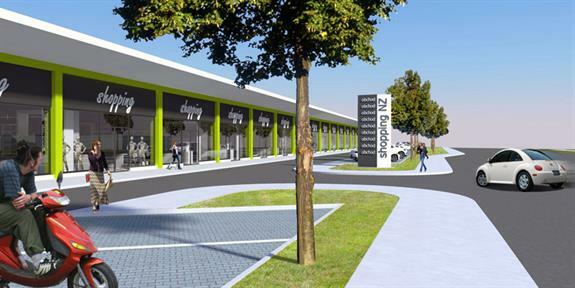 The client wanted us to design a shopping park in New Zámky. Individual stores are accessible directly from exterior. 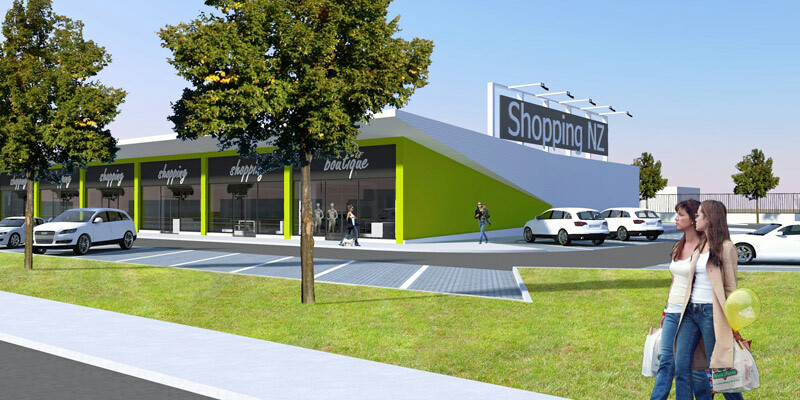 In front of the stores we designed a canopy that shelters outdoor shopping mall while its curved lines make the whole building appear more dynamic.